A new approach is presented for predicting the demand of service parts for so-called All-Time-Buy decisions. Such buys shall cover the demand for the next 15-20 years. Since this demand is generally difficult to estimate there is a clear tendency to buy too much in order to avoid stock-outs. Many automotive and other companies struggle with this issue. The new approach aims at predicting All-time demands with high accuracy. IBM GBS has built an ATP solution which comprises various prediction models to account for the different demand patterns of service parts (fast movers, slow movers, non-movers): Parts with full historic life cycles are used to predict the demand for parts which are in the middle of their life cycle. For slow movers a neural network approach is used. For new parts a combination of clustering and decision trees is under development. The ATP solution was developed using IBM SPSS Modeler, augmented by R, PERL and Jython scripts for data and results preparation purposes. In the speaker series talk the prediction models will be presented and results obtained so far will be presented and discussed. Peter Korevaar studied Physics and Astronomy at the University of Utrecht (Netherlands). After his PhD he joined IBM in 1991. For about 20 years he worked on optimization of logistics networks and on inventory optimization. 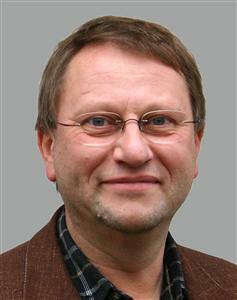 From May 2012 till April 2014 Peter was Senior Research Associate at the Karlsruhe Service Research Institute with a focus on Industrial Services and Service Analytics. Back at IBM Peter joined the IBM Global Automotive Center of Competence and since then works on the various aftersales topics, including the All-time Parts Prediction he presents at the speaker series.